Analysts have to state that Bitcoin is on the Bull run and might hit upon the $5000 mark by May. Bitcoin has been consistently testing the price in the resistance zone. Thick and faster predictions are out concerning this pattern. If BTC stays below the $4000 barrier for long, it is very likely to move to the downside. However, some analysts firmly believe that the Bitcoin might hit upon the $5000 range by May. The 0.5 Fibonacci retracement promises a significant bull run and the major psychological level among the investors is trending at $5,000. However, just like the $4,000 has been a major psychological resistance level, $5,000 might follow a similar trend too. 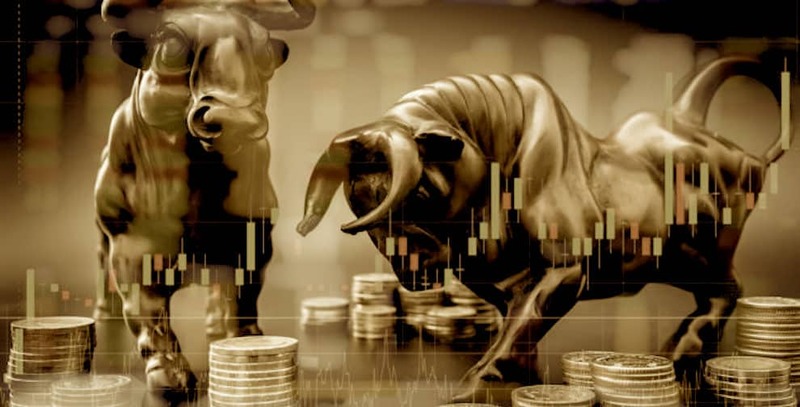 While the $5,000 is a significant run-up, several traders are predicting a long term recovery by the end of the year 2019. Considering the Fibonacci retracement at 61.8 in the long term it is expected that the current bullish run is only to dump again down to $1,500. This is considered to be an extreme scenario by several analysts. Price predictions, in reality, are speculation that is derived based on the past response levels of the market, and it is not right to consider it as a Gospel. However, several analysts are of the uniform opinion that there is likely to be a trend reversal. They have to state that the trend reversal might happen by the end of this year. While Bitcoin is considered to be the gold standard in cryptocurrency, there continues to be a major privacy flaw with Bitcoin in nearly 54% of the Bitcoin transactions. This is mainly related to the re-usage of the addresses. The address reuse formula has been taken into consideration by oxt.me which calculated the accurate rate at which the addresses were reused. The price surge of Bitcoin that is currently predicted is also due to the contributory effect of 30 to 100% of the cryptocurrencies. The momentum of several other alternative cryptocurrencies has been a challenging situation for Bitcoin which has repeatedly been retesting its key support levels at $3,700 and below. This was one of the reasons for why Bitcoin had a hard time breaking past $4,000 resistance level; however, the momentum of the other cryptocurrencies is also a major reason for why Bitcoin has not been dropping below the $3,000 region. The sustained stability exhibited by Bitcoin has been concerning investors ever since early March, and this has led to significant sell-offs early in March due to several months of low volatility. Regardless of the substantial upside of alternative coins, Bitcoin is vulnerable to retest at its low support levels. Several coins have currently exceeded their quarterly highs.